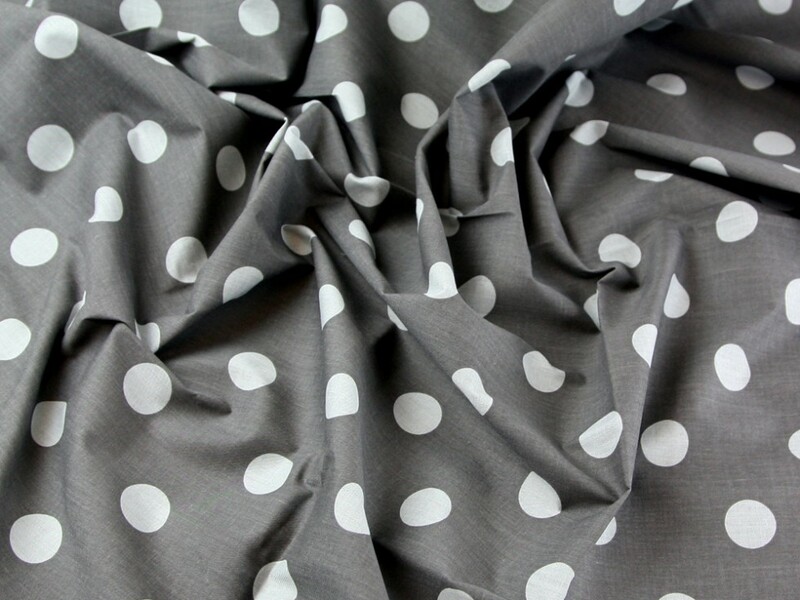 Have fun with our Spotty Polycotton fabric range! Polycotton fabric is a wonderfully versatile fabric that combines the natural effects of Cotton for softness and moisture absorption, with the no iron crispness of Polyester. It is a blend of Polyester and Cotton, machine washable, non stretch and easy care. This fabric is a light medium weight and very easy to sew. It is most commonly used for making childrens clothing, costume and theatrical work, fancy dress, crafts, patchwork and quilting and much more! The size of the spots are approximately 25mm.